Some of the more inspired responses included building a giant swimming pool and water park, a big bocce court, a skateboard park, a marijuana pea patch or a night club. 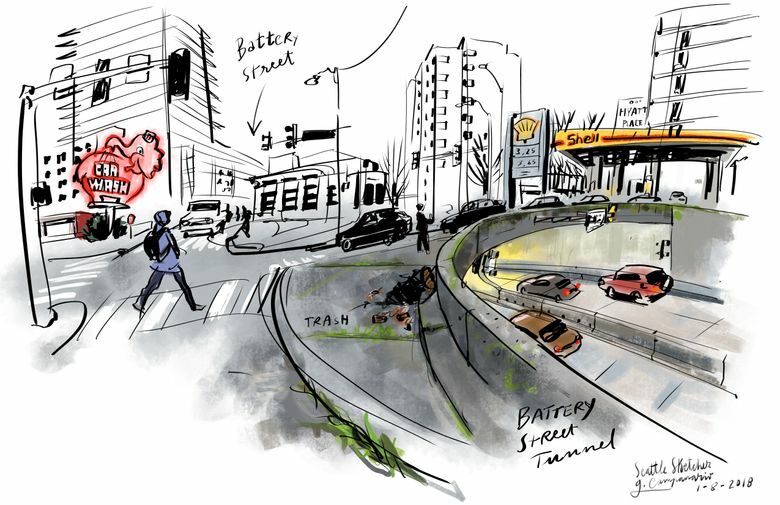 My recent post about the future of the Battery Street Tunnel generated a lot of interesting ideas from readers. Some of the most far-fetched responses they sent me mentioned building a giant swimming pool and water park, a big bocce court, a skateboard park, a marijuana pea patch or a night club. Others offer a pragmatic approach: Keep the tunnel as a bypass for traffic. Many suggested using the space as shelter for people experiencing homelessness. P.S. I recorded a video walking along Battery Street. You may watch it on my Facebook Page at www.facebook.com/seattlesketcher.